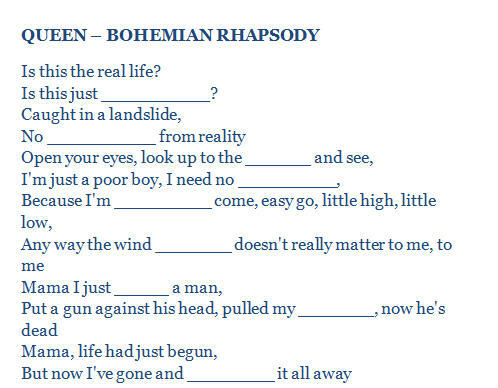 The worksheet contains the lyrics to the song Bohemian Rhapsody with some of the words missing. While listening to the song the students must fill in the blanks with the correct word. 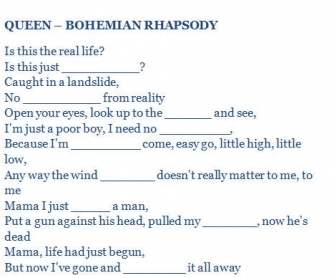 After checking the answers, there are a few additional questions regarding some of the names mentioned in the song as well as a couple of grammatical questions.